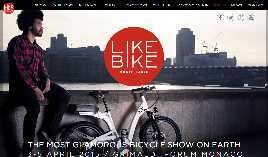 We are pleased to announce we will be exhibiting at the elite Like Bike Monaco show in April 2015. Come down, view the bikes and of course take them out for a test ride. We will be in Monaco from the 3rd - 5th of April. More details to follow.